The opal has always been a magical gem to me. I love the play of colors and this kit showcases the greens, blues and rusts that abound in October's gemstone. 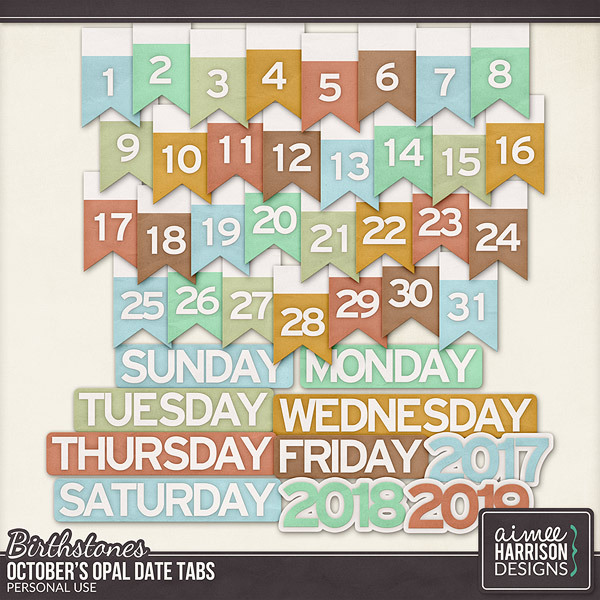 6 .png sets with days of the week, dates 1-31 with blank, years 2017-2019, each cut individually. These Date Tabs are PU/S2H/S4O friendly.